Although their charred complexions might be confusing for some folks, Donald Trump is not Freddy Krueger, and he still exists whether you turn your back and tell him he’s not real or not. (Hell, that didn’t even work on Freddy in the sequels.) 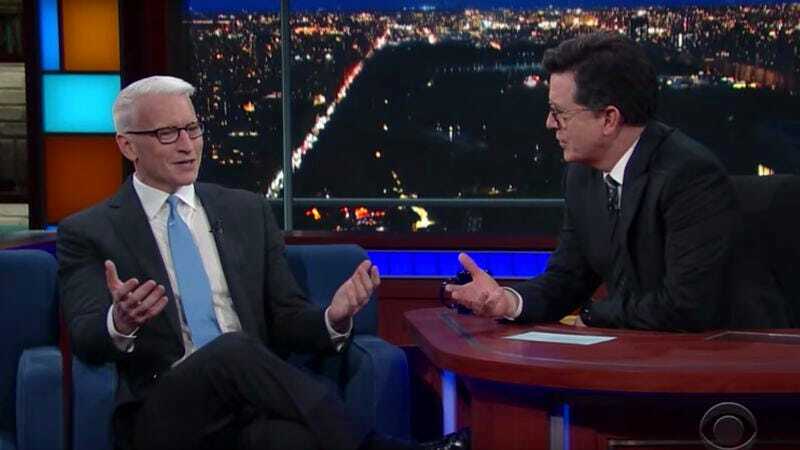 That being said, muting Trump on Twitter is probably good for your mental health, as Anderson Cooper explained on the newly revitalized, politicized Late Show With Stephen Colbert last night. “I just don’t want to have that drama in my life,” Cooper, a respected professional journalist, said, justifying his decision not to be awakened from his slumber by Trump’s 4 a.m. toilet tweets. He also points out that, as an employee of CNN, he ends up finding out about Trump’s latest word-vomit when he logs in for work anyway, and that the president’s Twitter feed proves that Trump watches Cooper’s show, so sounds like the guy has enough Trump in his life as it is.